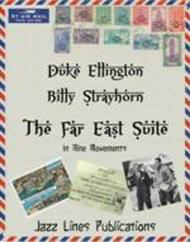 The Far East Suite is one of the more interesting and unique creations in the Ellington/Strayhorn oeuvre. It's a reflective, evocative, virtuosic, impressionistic aural tour through the East (mostly the Middle and Near East as many have pointed out over the years) as seen through the eyes and ears of two men who were musical visionaries and who had musicians behind them who were capable of vividly enunciating their visions. The Ellington Band went on a State Department-sponsored tour in 1963 which took them to Syria, Jordan, India, Sri Lanka (then known as Ceylon), Pakistan, Iran (then Persia), Lebanon, and Turkey. These travels-along with a 1964 tour of Japan-served as the primary inspiration for a musical suite. This concept piece had a long and complex development. The first iteration, then known as Impressions of the Far East, was initially performed in early 1964 in England and consisted of four movements: Ellington's Amad and Depk, and Agra and Bluebird of Delhi by Strayhorn. By the time the Far East Suite was recorded in December of 1966 it had grown to its final length of nine pieces. These pieces had various origins and sources of inspiration; some were even previously written at least in part. The overall cohesiveness and maturity of the suite can partly be attributed to its long gestation period, as pieces were refined and re-worked over a lengthy period of time. They came together to form what is generally considered to be one of Ellington and Strayhorn's masterpieces; it can also rightfully be seen as the swan song of their historic collaboration, as Strayhorn was very ill when it was recorded and passed away just over five months later. When completed, The Far East Suite was meant to convey the excitement and awe felt by the band when traveling to lands that were truly foreign-exotic and totally different from what most of them had experienced before. It's all there in the music-themes, motifs, form, harmonic progressions, and ideas that convey exhilaration, joy, sadness, and various musical incantations of the mystery of life in the East. The opening tune, Ellington's "Tourist Point of View," conveys the sense of wonder at arriving in the East after landing in Syria. Mainly a vehicle for tenor sax star Paul Gonsalves, the piece creates a wide-ranging and diverse introduction to the suite with a sense of excitement at the sounds, sights, and exotic differences they were experiencing. Strayhorn's "Bluebird of Delhi" (originally titled Mynah) is a tribute to a Mynah bird that often visited his room while the band was in India. Jimmy Hamilton's clarinet evokes the sound and spirit of the bird, with Hamilton mimicking the "pretty lick" (in Ellington's words) that the bird used to sing. According to Duke, the bird never answered Billy's banter until they were leaving, and "then it sounded off the low raspberry you hear at the end of the number." "Isfahan" was based on an earlier Strayhorn work called "Elf," which was first performed in 1963. Named after Persia/Iran's former capital, it was inspired by what Ellington called "a city of poetic beauty." "Isfahan" became the best-known piece on the record, in no small part due to Johnny Hodges's stunningly beautiful work on this cut; few players were more suited to mirror poetic beauty with their playing than Hodges. "Isfahan" also became the only popular standard from the suite, largely due to its more familiar form. Ellington's "Depk" was inspired by a children's dance in Amman, Jordan, adding playfulness and a child's sense of hope and optimism to the suite. "Depk," Ellington recalled, "involved a dozen boys and girls and was marked by a little kick on the sixth beat." This "kick" is musically represented by the occasional use of tags and extended phrases throughout the piece. Next comes Ellington's "Mount Harissa," originally known as Nob Hill, which takes its name from a famous hilltop in Lebanon. This movement showcases his sometimes underrated piano playing. Once again is Paul Gonsalves on tenor, showcasing a more sprightly, upbeat approach than his earlier spots on "Tourist." It's a particularly evocative piece, which continues to develop the themes of the suite while showcasing the interplay between Ellington and one of his most trusted lieutenants. Duke's "Blue Pepper," originally known as 3D, stands out somewhat with its shift to a rock-and-roll-style backbeat. It's almost an interlude on the record; a sort of upbeat palate cleanser for the ears. Highlights include Hodges's stellar alto sax and Cat Anderson's high note acrobatics over the melody recap. Strayhorn's "Agra" is named for the Indian city which is home to the world-famous Taj Mahal. Indian motifs are clearly evident in this piece. It was written to feature Harry Carney's baritone sax, which brings to mind the majesty, beauty, and deep emotions extant in the legendary Indian landmark and its backstory. Ellington's "Amad" works to convey the overall mystery of the region. Famed critic Stanley Dance drew attention to Lawrence Brown's trombone performance in particular, which is no doubt meant to evoke an Islamic "call to prayer." Finally, "Ad Lib On Nippon" was composed by Ellington and tenor sax/clarinetist Jimmy Hamilton after the aforementioned 1964 visit to Japan. This movement consists of four sections: Fugi, Igoo, Nagoya, and Tokyo. Fugi and Nagoya, largely piano pieces, showcase Ellington. Igoo was composed originally for an American Airlines short advertising film entitled Astrofreight. Hamilton's playing and his oral history comments on the Tokyo section strongly suggest that this was his composition. "Ad Lib" has a distinct Eastern feel, perhaps due to the legacy of Ellington's many visits to Japan; his piano solo is especially moving. 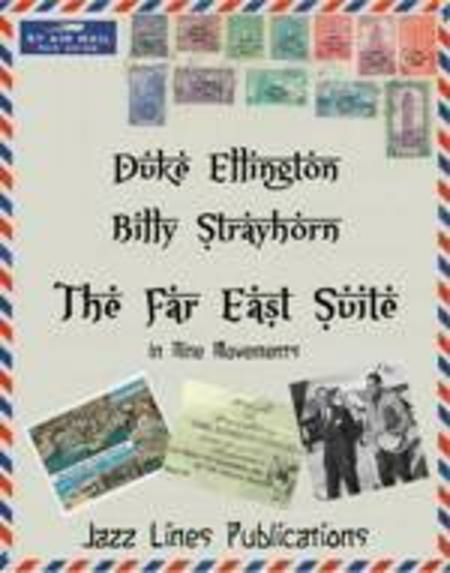 The Far East Suite is a landmark work. Aside from its beauty, creativity, originality, and cohesiveness-despite the diverse nature of the pieces-it stands out in many ways. As critics have noted, the "Eastern" feel is achieved with standard big band instrumentation familiar to the Ellington canon-they did not introduce Eastern instruments to more easily evoke the sounds of the region as many others in various genres of music have done. Instead, uses of themes, motifs, form, and vamps familiar to various Asian music traditions were subtly incorporated to create the unique sound palette. The individual musicians were used in the same way: Hamilton's clarinet represents the Bluebird, Hodges's alto evokes the poetic beauty of Isfahan, Gonsalves's tenor builds on Ellington's feelings about Mount Harissa, and Carney's baritone conveys the majesty of the Taj Mahal and its history. In addition, this work, while clearly bearing all of the marks of its creators, also heavily reflects the freer trends and overall change coursing through the music world in the second half of the 1960s. In a new way, Ellington and Strayhorn reinforced their idea that big band music belonged in a concert hall. One might also be very tempted to consider this to be among Ellington's more accessible works, containing a range of universal emotions ranging from the exotic to the playful. Ultimately, this piece, listened to in its entirety, is an adventurous musical journey away from the comfort zone of most listeners and even to some degree of the players. Still, the familiar instruments and easily-recognizable composer/arrangers and soloists firmly root this work in the Ellingtonian canon and within the jazz tradition as well. The influences of the East were mixed perfectly with the familiar style of the Ellington band as a group and the individuality of its members. The Far East Suite succeeds in blending old and new, different and familiar; presenting a truly singular musical look at cultures entirely foreign to most Westerners, yet conveying emotions every person could relate to and appreciate-and doing it all in a way that is also just plain fun to listen to again and again. Instrumentation: Reed 1: Alto Saxophone, Reed 2 Alto Saxophone/Clarinet, Reed 3: Tenor Saxophone/Clarinet, Reed 4: Tenor Saxophone, Reed 5: Baritone Saxophone, 4 Trumpets, 3 Trombones, Piano, Bass, Drums.